Do you need a super nourishing hair mask that is especially effective for dry or damaged hair? This DIY coconut milk avocado hair mask with olive oil is perfect for it! It has tons of valuable nutrients that help strengthen the hair follicle, promote hair growth and deeply moisturize it. If your hair is dry and frizzy, this mask will give it a healthy boost. 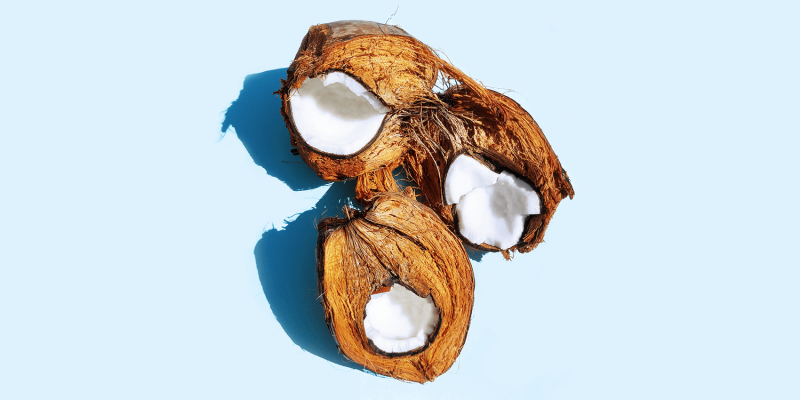 Coconut oil can truly transform your hair. It contains fatty acids with a special molecular structure which enables them to easily penetrate your hair. It’s very good at restoring protein loss and helps stimulate hair growth. Coconut milk is also rich in these fatty acids called MCT’s. It’s great for your hair, without making it heavy which the oil sometimes can do. Olive oil is rich in antioxidants and has strong nourishing properties. It has been used to moisturize and condition hair for ages. Avocados are some of the healthiest things in the world. They are full with good fats, proteins, amino acids and other nutrients. Our skin and hair also love them. They help protect your hair against external damage, deeply moisturize it and support hair growth. Chamomile is a soothing herb that nourishes your hair and scalp. It helps retain moisture and strengthens the hair, while making it soft. 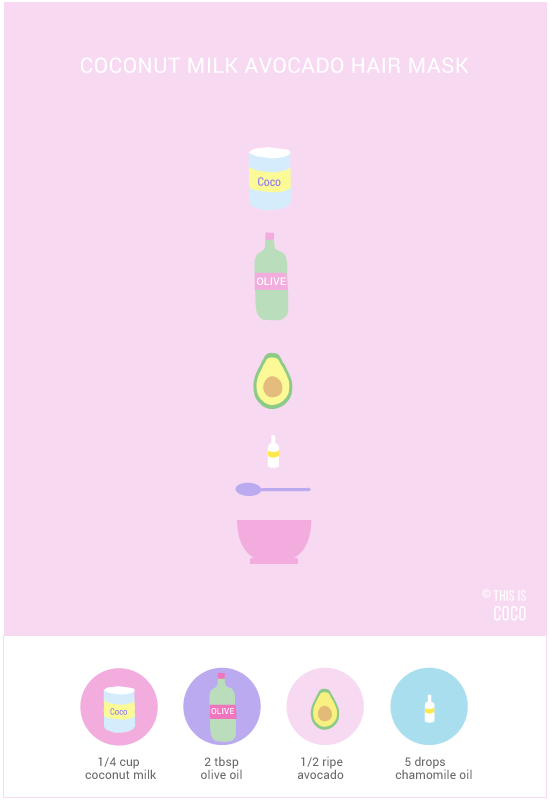 Making this DIY coconut milk avocado hair mask with olive oil is a breeze. Simply mix all the ingredients in a bowl and apply it to clean hair. Gently massage it into your hair and scalp in circular motions for about 5 minutes. This helps the mask penetrate your roots and stimulates blood circulation. Cover your hair with a shower cap and leave the mask in for at least an hour. Rinse your hair and wash it as usual.